Home security systems should do more than keeping your home safe from criminals and intruders. They should also keep your family and house safe from accidents, hazards, and malfunctions that can occur in daily life. No matter how your home security is set up, whether there are alarms that go off in the event of predetermined circumstances like carbon monoxide or a door opening without a code, or if you have a fully automated smart security system, they should both let you know and be able to respond to an increasingly large number of dangers, including medical alerts. Here are some ways a security system can help keep your family healthy. In circumstances like a fire or a carbon monoxide alert, home security systems can notify authorities, who can then help elderly or incapacitated residents to safety. If senior relatives or someone with a medical condition is left home alone, remote surveillance systems set up in common areas of the house can help you monitor the activity in the house and give you peace of mind that everything is running smoothly. 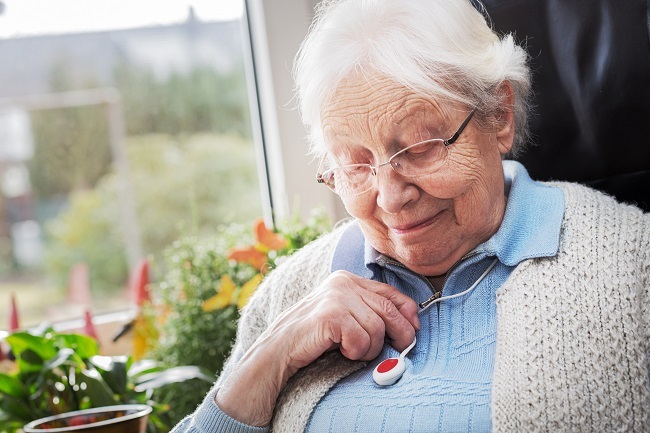 Senior residents can be given medical alert buttons that are to be worn or kept conveniently at hand for individual alerts that aren’t triggered by house-wide monitors. Home security systems are adapting and connecting with how we live our lives to offer increased safety in every facet of the home environment. If you’d like to learn more details about medical monitoring in Fort Knox Security Services’s systems, please contact us here.